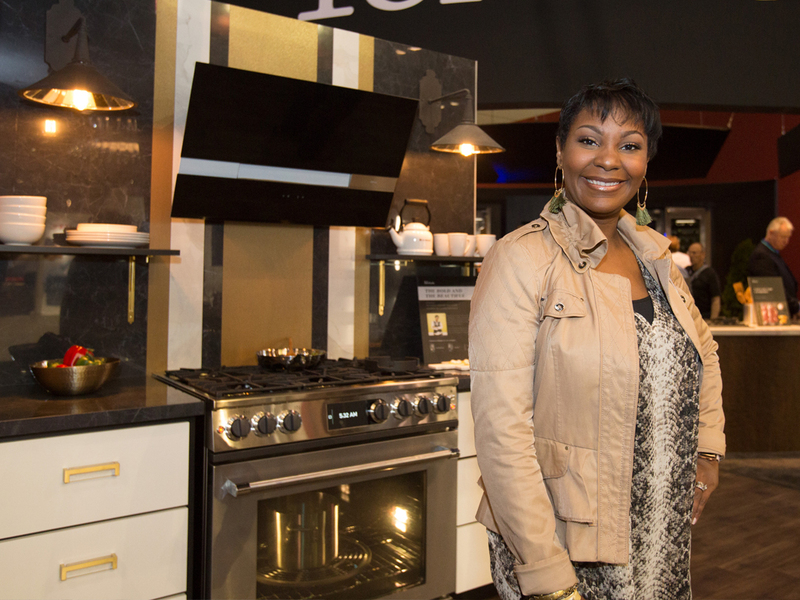 We had the opportunity to partner with Arianne Bellizaire with Inspired To Style on her kitchen vignette at the 2018 Kitchen + Bath Industry Show. We love how our Zephyr Wave hood is the focal point in this display and looks like more of an artful centerpiece over the range than an appliance. The Wave features Dual Capture Zones, a glowing tri-level LED light strip, and the option to have black or white glass. It’s sure to strike conversation in the kitchen — “Is that a speaker or a range hood! ?” Click here for more info on Arianne’s vignette and trends she loved from the show.